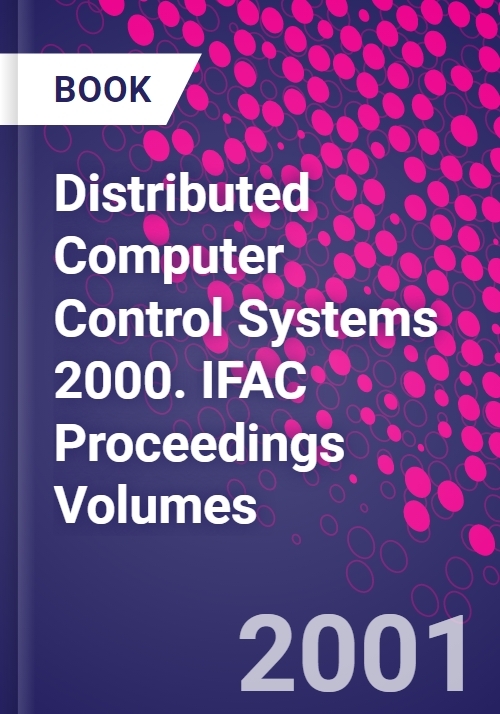 This Proceedings contain the papers presented at the 16th IFAC Workshop on Distributed Computer Control Systems (DCCS) held in Sydney, Australia in December 2000. Development of distributed computer control systems makes demands on the disciplines of computer science and engineering as well as electrical engineering, and usually involves both hardware and software that is reliable and with assured timing properties. The DCCS series of workshops contributes to this inter-disciplinary area by bringing together academic researchers and practitioners who may normally not attend the same events. During the past decade, DCCS has focused on novel technologies for distributed control systems. These papers fall in the areas of classical control theory, computer architecture, real-time computer networks, and formal methods for real-time systems, besides application papers in all of these areas. Out of 34 submitted papers, 24 were selected for presentation at the workshop. Control Theory and Applications.2 papers. Specification and Simulation. 3 papers. Real-Time Networks -III. 3 papers.